This is Co-Co~ the ballerina bunny. 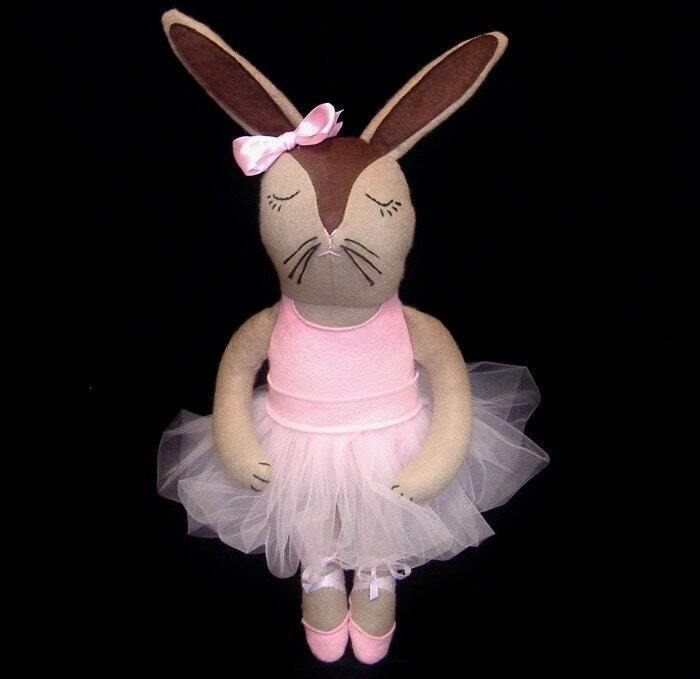 She is dressed up for her first recital~ in her pink tu-tu, and ballet slippers. Super sweet & petite she measures about 17" from the top of her ears- to the tips of her toes.